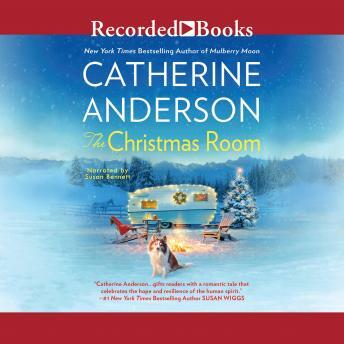 A standalone contemporary romance set among neighbors, full of homespun holiday cheer, from Catherine Anderson, New York Times bestselling author of the Mystic Creek series. Maddie McLendon hasn't had a new relationship since the loss of her beloved husband two years ago. Broken by grief and desperate for a new start, Maddie moves to Bitterroot Valley, Montana, with her adult son and her grandson. But despite the natural beauty of her new town, not every change in her life is a welcome one. Maddie's new next-door neighbor, Sam Conacher, used to be a pillar of the community, but he has driven old friends and new acquaintances away due to a recent heartbreak of his own. He seems to intrude on her life at every turn. As Christmas draws closer, Sam's and Maddie's grown children begin to fall in love, but Maddie and Sam's interactions are punctuated by an increasingly bitter attitude. Under unexpected circumstances, the other townsfolk of Bitterroot Valley band together to show both Maddie and Sam that moving past their grief is possible, and burdens are lightened when you have someone else to depend on.